So, how many fabulous jelly rolls have you collected? 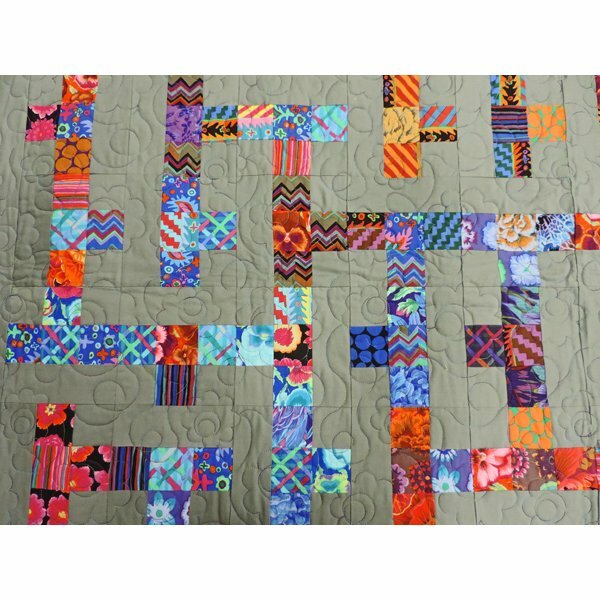 With this eye-catching scrap quilt there is no right or wrong way to way out your blocks. Just make sure that your finished row is 8 blocks wide. The key is to rotate your block in various directions to create a path.